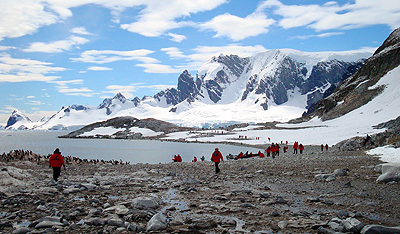 A visit to Antarctica can be included as a part of a cruise if you want a taste of the deep south without it being the only destination of the trip. These trips are longer than most Antarctic-only cruises, so are ideal if you have the time available and want to experience Antarctica and also some of the exotic and remote places along the way in the southernmost portion of South America. 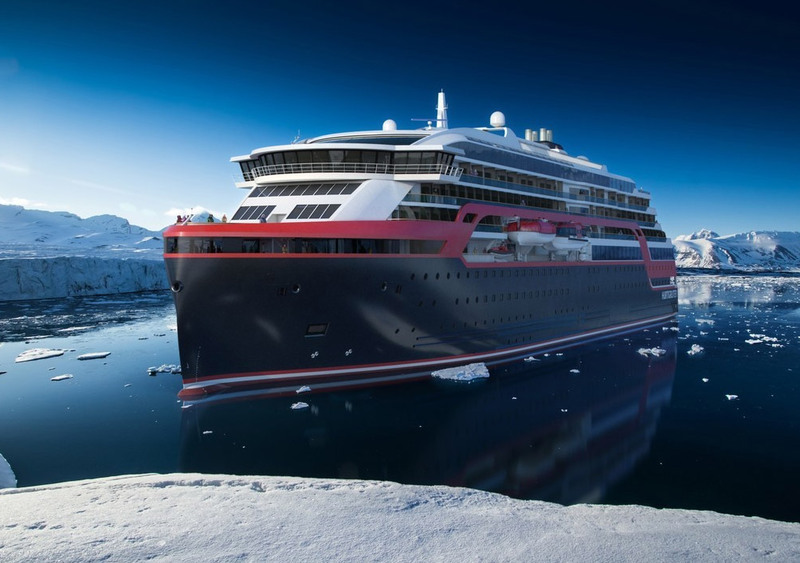 These cruises usually take place aboard the larger Antarctic cruise ships with more facilities and often family friendly facilities. Wild and glacial Tierra del Fuego, then across to the Antarctic Peninsula for a different kind of wilderness and array of wildlife returning via the Falkland Islands. 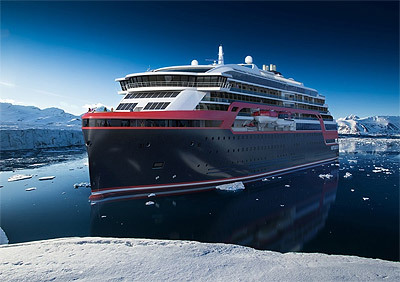 Ship - Roald Amundsen - Expedition Ship, 500 passenger capacity, 100% outside cabins. The capital of Chile is exciting and diverse. Your adventure starts with an overnight hotel stay here. 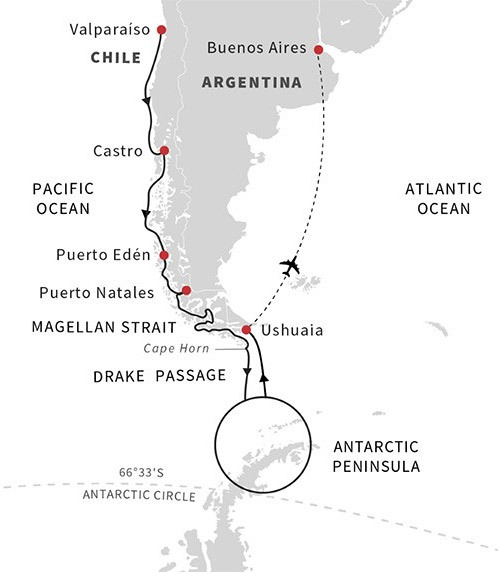 Fly to Punta Arenas where the MS Roald Amundsen expedition to Antarctica will begin. Enjoy cruising through the Beagle Channel, with channels, fjords and mountains plunging straight into the icy water. This wild and remote area seems almost undisturbed by humans. One of the most iconic places on Earth, Cape Horn is at almost 56 degrees south. You will do your best to make a landing on Cape Horn - however, this is an area known for high seas and challenging conditions. 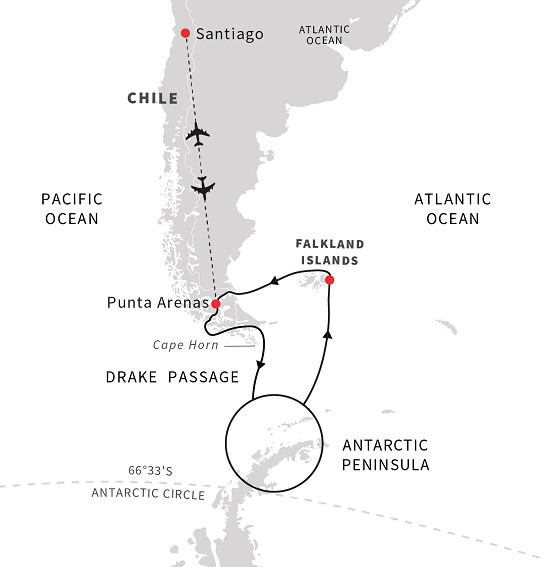 Then MS Roald Amundsen will use 1 ½ to 2 days to cross the Drake Passage, depending on the weather conditions. Isolated from the rest of the world by ocean currents. 90 percent of the world's ice is here, up to 13,000 feet thick, covering the landmass. In winter it is further cut off by sea ice forming off the coast - virtually doubling the size of the continent. In summer, it is a breeding ground for millions of penguins, whales and seals. 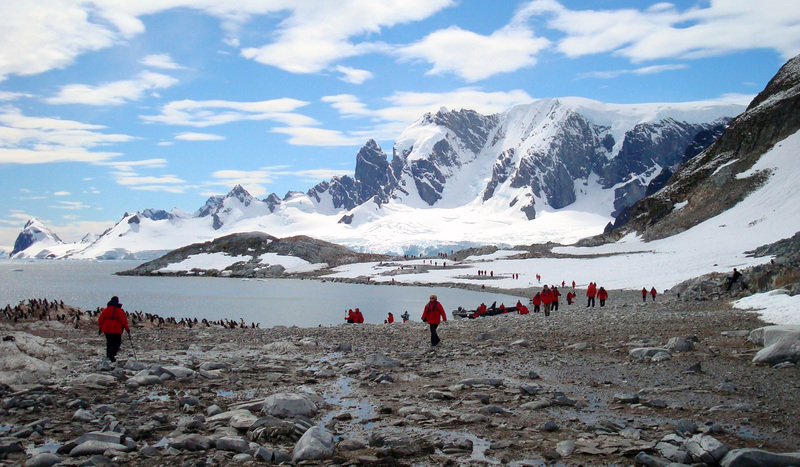 Protected by the Antarctic Treaty, this is a continent dedicated to peace, science and tourism. You will be visiting a place that has evolved through millenniums without human interference. Therefore, you must adhere to very strict environmental guidelines and rules. You want to leave nothing but footprints and take nothing but pictures! 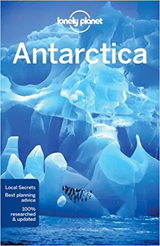 What is so overwhelming about Antarctica is that its location makes every voyage to the continent an expedition. Even the most sophisticated technology cannot override some of the climatic challenges that are a part of this environment. Therefore, you need to be pragmatic. You change landings, re-route, and shift plans as you go along. This also means that you will take advantage of the often ideal conditions - spend hours ashore, on the water with kayaks, hiking or simply cruising looking for whales. Weather, wind, and ice conditions have a great influence on your program and schedule. You will attempt to land several places, including Deception Island, Half Moon Island, Brown Bluff, Cuverville Island, and Neko Harbor. 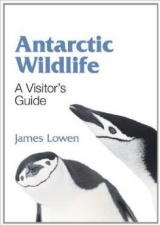 All of these places offer opportunities to observe penguin colonies, seals, glaciers, icebergs in every shape and color and old whaling stations. Set course back for the Falklands, two large islands and around 700 smaller ones. Continue enjoying a lecture series that focuses on the dramatic history and diverse wildlife of the islands as you keep a watch for wandering albatross. Having just been in Antarctica, it might seem a bit surreal to arrive in a town that looks like a miniature England, with red phone boxes, red buses and English pubs. Stanley is the capital on the Falkland Islands. Roam the city streets, the town is easy enough to discover in a day on foot, or join one of the excursions to explore the wilderness and wildlife in the surroundings. This is an unpolluted environment with fantastically clear blue skies, seamless horizons, vast open spaces and stunning white sand beaches. As you reach the westernmost settled outposts in the Falklands you will see remote farms that have been family owned for six or seven generations. 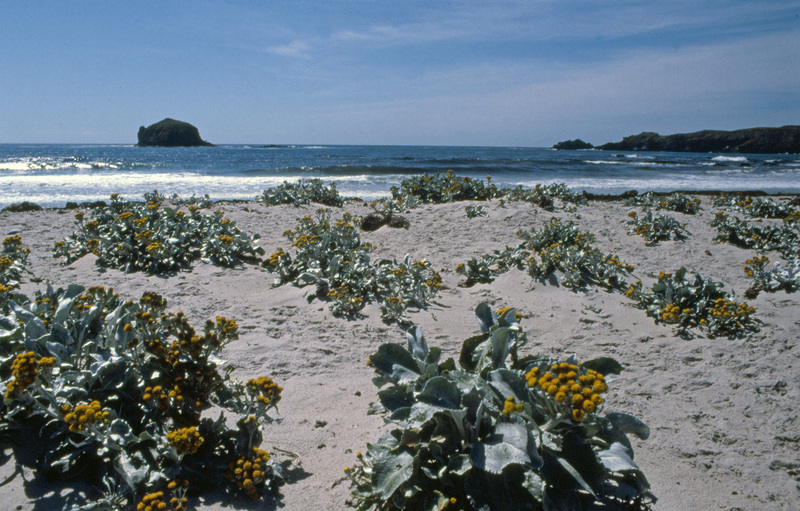 The sheep graze alongside immense colonies of albatross and rockhopper penguins, while predatory striated caracaras patrol overhead and upland geese forage at the water's edge. As you complete the loop of the Magellan Strait, you will have a recap of everything you have experienced on this expedition. Make sure you spend some time on deck looking for wildlife. Today you will arrive back in Punta Arenas in the morning. After the flight back to Santiago de Chile, you can extend your vacation with a post voyage extension to experience the impressive region. Chilean fjords, Antarctic Peninsula, Torres del Paine National Park, Patagonian settlements. Wildlife, history, indigenous culture. 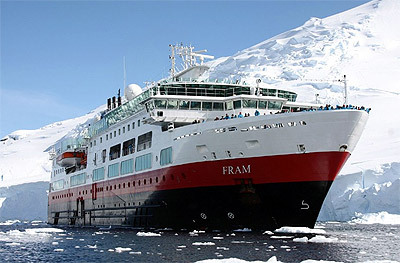 Ship - Fram - Scenic Exploration Vessel, launched 2007, 254 passenger capacity. Your expedition starts in Buenos Aires, the vibrant capital city of Argentina, enjoy an included hotel night here. After breakfast, transfer to the airport, this and the flight from Buenos Aires to Ushuaia are included. 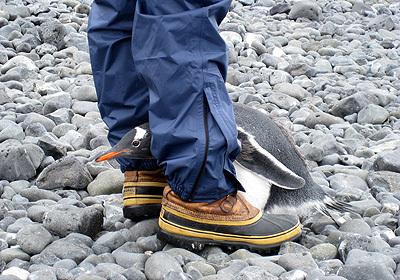 Cross the Drake Passage to the Antarctic Peninsula. 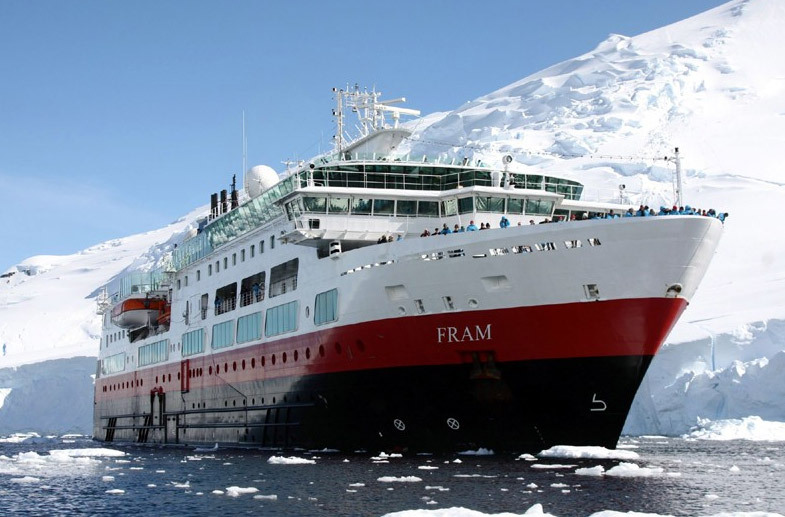 Spot an abundance of seabirds from the ship and enjo fascinating presentations about the history and wildlife of Antarctica. This unending, white wilderness of a continent is full of overwhelming impressions on an impressive scale. Weather, wind and ice conditions will of course have a great influence on our program and schedule and your experienced expedition team will select possible landing sites that will provide you with the best experiences available. With long hours of daylight that you have in Antarctica this time of the year it is easy to make the most of your days. You will attempt to land on sites both on the South Shetland Islands and on the Antarctic Peninsula. You will be brought on shore for close up exploration. 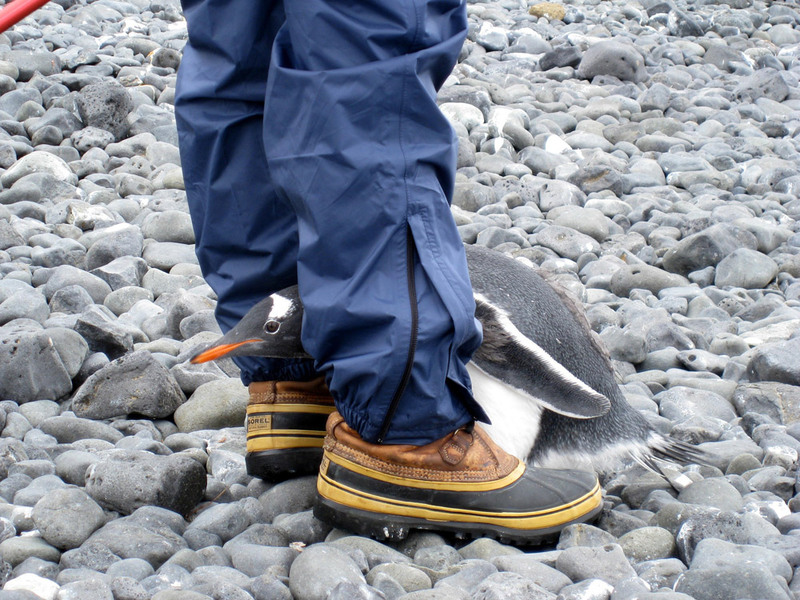 You might call at the Gentoo penguin rookeries on Cuverville Island and Neko Harbor. Weather permitting, you will have a chance to sail through the incomparable Lemaire Channel and take on the challenging hike on Petermann Island to get rewarded with panoramic views. Another fun destination if weather permits is Port Lockroy, an old British base with a museum. Sailing through the Antarctic Sound offers spectacular views of tabular icebergs and glacial landscapes. 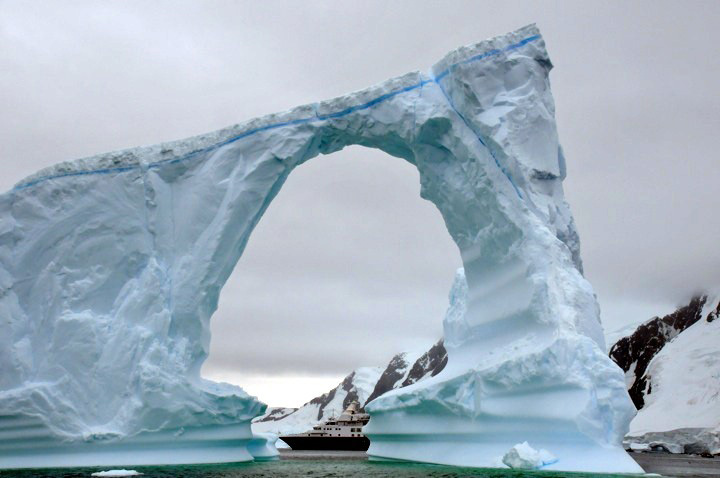 Kayak in untouched waters with icebergs floating by, guided hikes up snowy pathways to spectacular viewing points, listen to the sounds of glaciers calving or penguins squabbling, spend the night on deck or in a tent on this remote and untouched continent, or perhaps for the most daring, taking the polar plunge swim. Every day will be different, carefully crafted by our expedition team to educate you and create lasting memories. 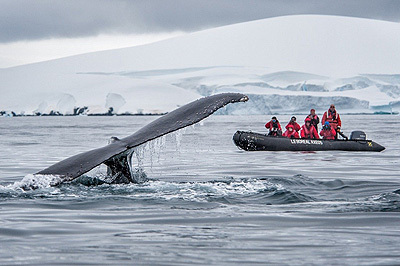 Head back north to South America after a magnificent week of exploration in Antarctica . Land on Cape Horn at the tip of South America if conditions and the sometimes extreme weather allow. These deep channels with mountains plunging into the icy water always leave a profound impression on visitors. A wild and remote area that seems almost untouched by humans. The lush coastline is rich in wildlife, you might be lucky enough to spot sea lions, Andean condors and several bird species that can only be found here. Gateway to the world-renowned Torres del Paine National Park, one of the most attractive nature sanctuaries in the world. Its main feature are "Torres del Paine" (Towers of Paine) made up of the Torre Central (9,186 feet high), Torre Sur (9,350 feet) and Torre Norte (7,375 feet). The park features azure lakes, trails that meander through emerald forests, roaring rivers, and one big, radiant blue glacier. While you are here you might see llamas, pumas, chilla foxes, and skunks in addition to more than 100 species of birds. This unique village will enchant you, a tiny settlement in Bernardo O'Higgins National Park, at the end of a deep fjord surrounded by mountains. Its population of 250 includes the 15 remaining Kaweskar people. There are no roads, only wooden walkways, a great place to experience the traditional indigenous culture of Patagonian tribes. The villagers sell fish, mussels and shellfish products. Enjoy a stroll among the laneways, and maybe you will spot one of the many Magellan hummingbirds found here. 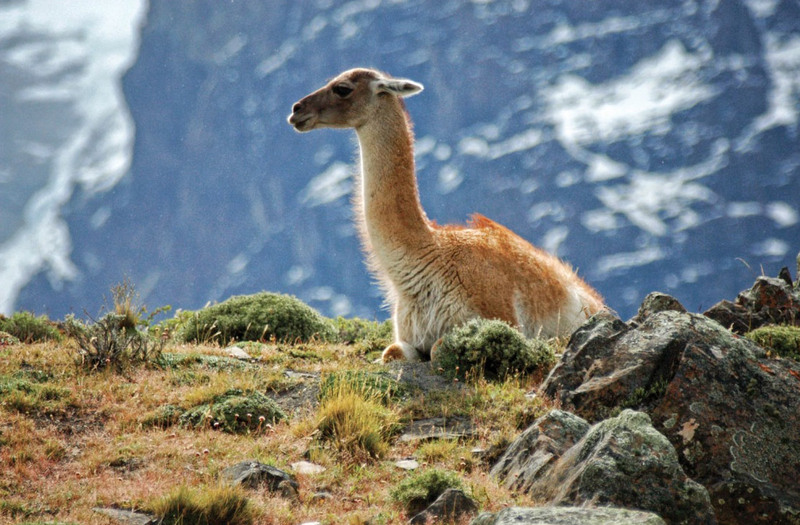 Continue sailing north through the fabled waters of Patagonia through iconic Andean seascapes. A city is known for its colourful "palafitos", wooden houses mounted on stilts along the water's edge. Come ashore and enjoy the local Chilote character and curious energy, mixed with a dash of modern development. The church of Iglesia San Francisco is a UNESCO World Heritage Site, a visual delight, bright yellow and orange with a lavender trim. The varnished-wood interior is stunning, illuminated by rows of stained-glass windows. Feria Campesina Yumbel is a bustling fruit and vegetable market. Just south of the port is a shop, Feria Artesanal Lillo, where you can buy excellent hand-knitted woolen goods and handicrafts. Close to town is Chiloe National Park, a wilderness area with wide deserted beaches and long stretches of rugged coastline, it is home to dozens of seabird species, penguins, sea lions and rare flora and fauna. Make your way along the Pacific coast to Valparaiso, there will be a recap of the expedition's experiences , make sure you spend some time on deck wildlife spotting. This expedition comes to an end in the colorful and poetic city of Valparaiso. Make time to explore this scenic town before you fly home.